Since I had to write the driver for my company’s new DI Line Follower, I also decided to test it properly on a track. 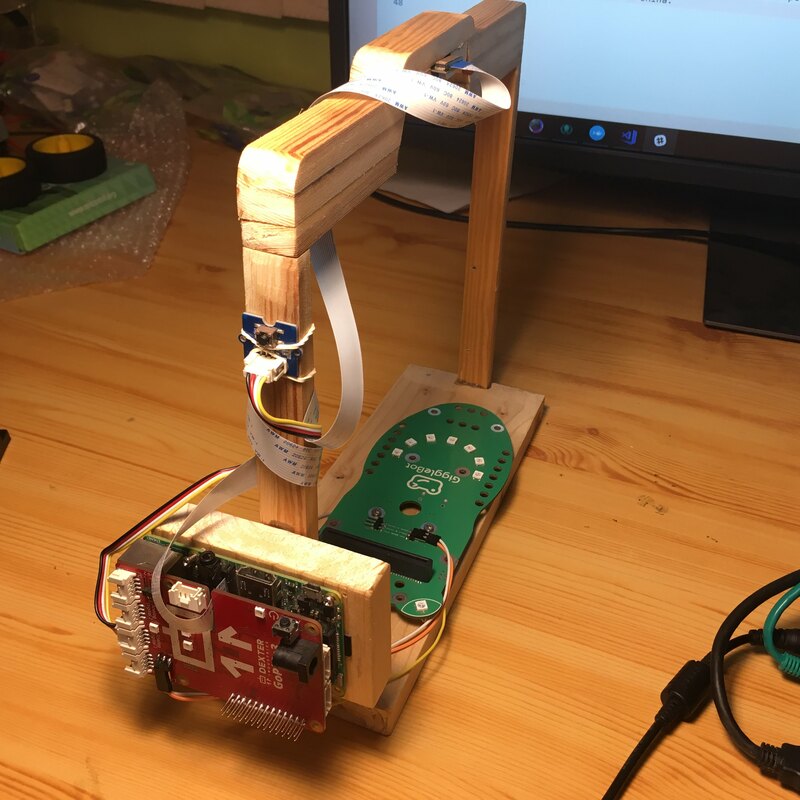 I started doing this in a weekend a couple of days ago and I thought of using the GoPiGo3 as a platform for the line follower. After all, it’s what the DI Line Follower sensor was meant to be used with. In this short article, I’m not taking into consideration the old line follower, identifiable by its red color of the board and I’m only focusing on the black little one which in my tests, it performed spectacularly. Anyhow, this project can be adapted to any line follower that’s out there. In order for it to know how to follow the line, a PID controller could do the job very easily - there’s no need for neural networks here, although it could be feasible that way too. Actually we’ll only need to set the PD gains as we’re not interested in bringing down to zero the steady-state error. At the same time, I thought I’d want to have flexibility when testing it, so I need a cool menu to show me all the controls for the robot: like increasing/decreasing gains, setting the speed of the robot, changing the loop frequency of the controller, calibrating the line follower and so on. The algorithm for the controller is pretty basic and only takes a few lines. The following code snippet represents the logic for the PID controller. For getting the entire program, click on this gist and download the Python script. 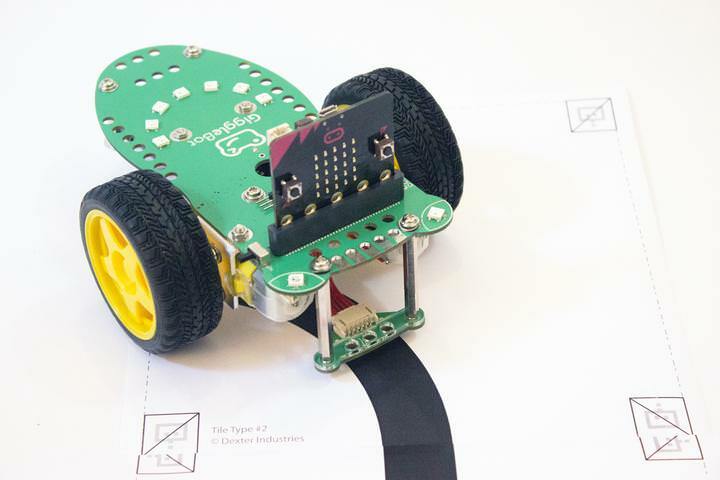 Also, in order to install the dependencies, mainly the GoPiGo3 & DI_Sensors library, check each project’s documentation. Because I didn’t have the right spacers (40mm) for the line follower, I had to improvise a bit and make them lengthier by 10mm. 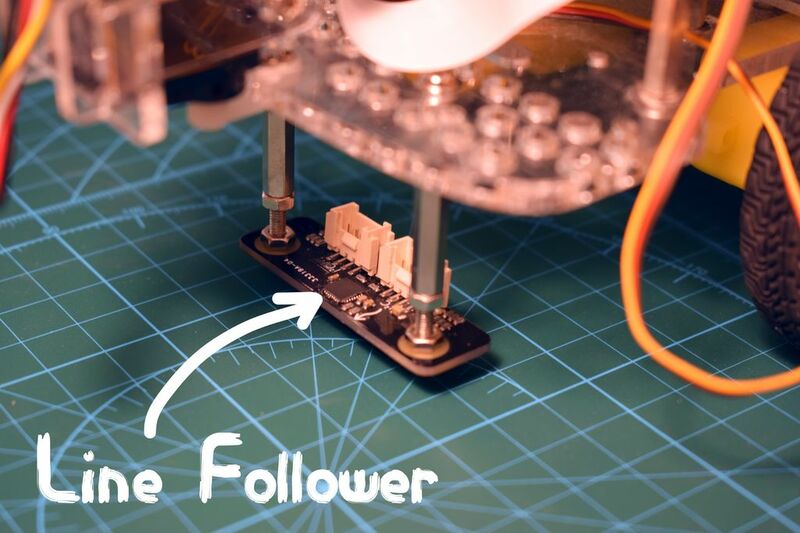 The idea is that the line follower’s sensors have to be 2-3 mm above the floor. Next up, I connected the line follower to the I2C port of the GoPiGo3. The only thing left to do for me was to tune the PD gains, loop frequency and the GoPiGo3’s speed and see how the robot follows the line. 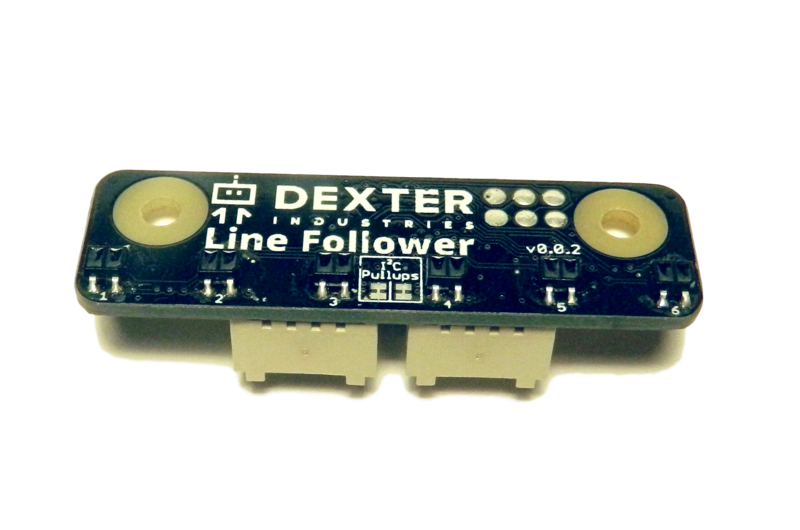 What I know about the line follower is that the highest update rate of the sensor is 130Hz, meaning that is also the highest value I can set for the control loop frequency. Loop Frequency = 100 Hz. I let the GoPiGo3 run at the default speed, knowing that this way it still has a lot more room for adjustments while running - the highest speed I have achieved was at ~500. Leaving some room for the speed to go up can make the robot behave better when following the line. If I were to make the GoPiGo3 run at its full speed, then when it has to follow the line, only one motor can change the speed. The effect is that one motor reduces its speed whilst the other can’t speed up, thus leading to a poorer performance overall since only one motor participates at changing the robot’s trajectory, instead of two. And for the tracks, I printed the following tiles from this PDF file. 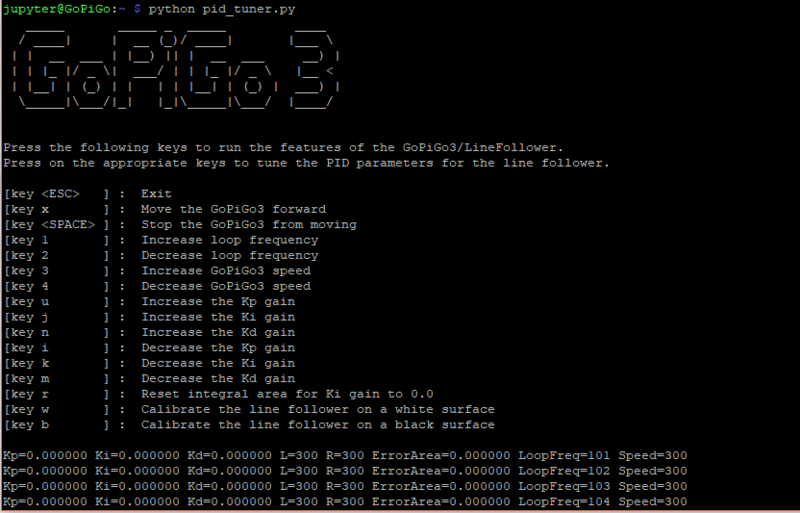 The above parameters/gains have been set to the GoPiGo3 in the following video. 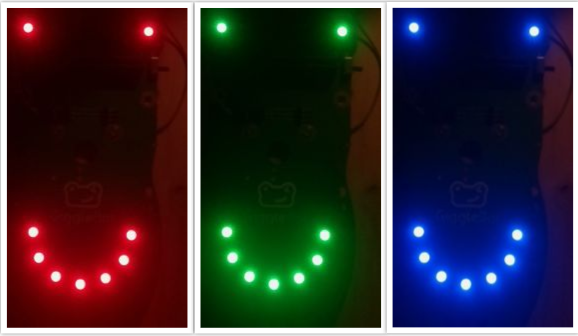 It’s been a while since I wrote a blog post, not on this one obviously, but on an older one made with Wordpress which had as a subject the Arduino ecosystem. 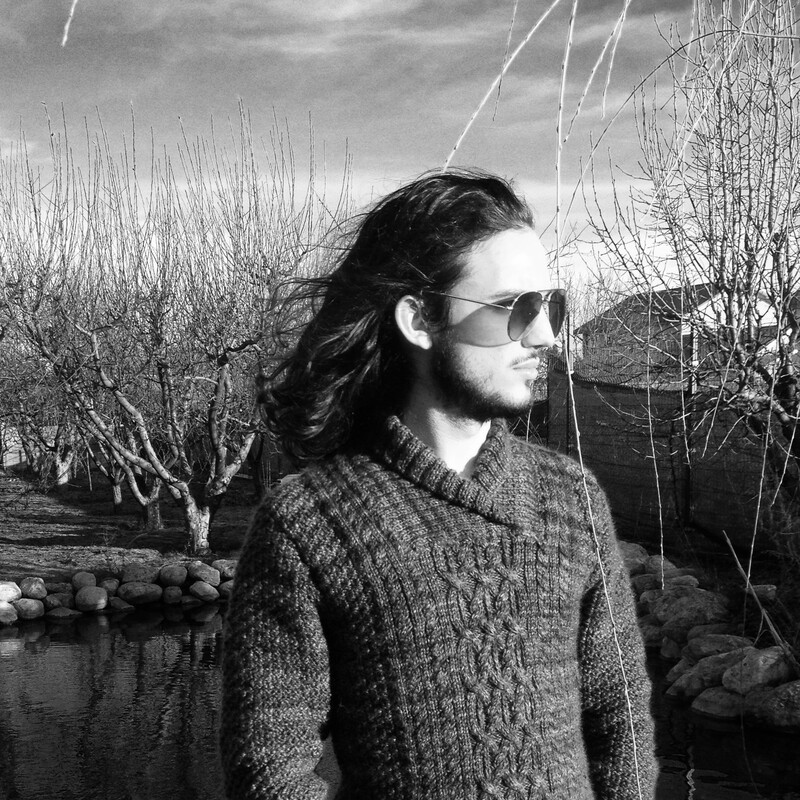 Anyhow, here I am, starting my 2nd blog, still being interested in technology in general. For the past couple of months I have been entertaining a project in my mind that’s slowly starting to take shape as a concept. I won’t discuss it right now, it would take way too much time, but I’m going to say getting 4G access on a Raspberry Pi is a precursor to what’s going to come and is going to be a part of it, thus I need to start working towards that objective. In many instances, it’s better to get something already made and done for you and in this case this is no more different: a HAT-like board for Raspberry Pi containing all the electronics necessary to get going with a 4G module is best option. Quectel EC25-E (the letters that come after the dash symbol are an identifier for the region they work in, mine being Europe) in the Mini PCIE form-factor. Raspberry Pi 3G-4G/LTE Base Shield V2. Antenna for the LTE network and for GPS. Seeing that this EC25-E module comes with GPS support for all the major satellite navigation systems (GPS, Galileo, GLONASS, BeiDou) I decided to go with an antenna that would support both the 4G and the GPS. All after all, I will need the GPS support too in the project I’m conceptualizing. All this cost me somewhere around 150 USD, which I’d say is quite a lot for what it does, but let’s first experiment it and then draw the conclusions. This is what the package looked like when I got it. And once everything was mounted on top it looked this way. Before anything else, make sure you get a SIM card that already has data plan on it. I got a Vodafone prepaid SIM card for 5 Euros with 50 GB of data on 4G, which is more than plentiful for what I need. I started it up with a Stretch Lite distribution of Raspbian. Burned that on a micro SD card, connected the Raspberry Pi to my laptop via an Ethernet cable and enabled the sharing of internet from my laptop’s WiFi to the Ethernet interface. SSH into it with Putty with hostname raspberrypi.mshome.net and then let’s proceed. /dev/ttyUSB1 - used for retrieving GPS data (with NMEA-based standard). /dev/ttyUSB2 - for configuring the 4G module with AT commands - we won’t need this in this tutorial. /dev/ttyUSB3 - the actual port through which the data flows. If you didn’t figure this out by now, the shield has a microUSB port through which everything is done - internet, configuring, GPS data, everything. The good part of this is that you can connect this to your laptop, install a driver that Quectel provides you and there you go: you have 4G access on yours. Here’s the driver you need for your Windows laptop. PPP will be used to establish a dial-up connection which will give us a new network interface called ppp0. Place the following bash code inside a script called pppd-creator.sh. 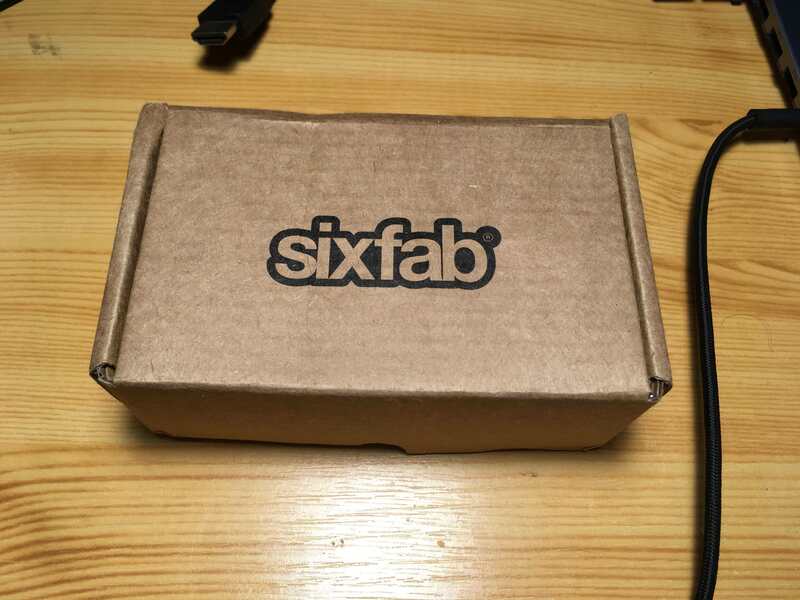 These instructions can be also found in Sixfab’s tutorial by the way. The 1st one is the APN of your network provider - in my case it’s called live.vodafone.com. The interface through which you get internet access - ttyUSB3 (the shorthand for /dev/ttyUSB3). This will create configuration files necessary to get you connected to the internet. Next call the pppd to proceed with the dial-up procedure to get internet access on your Raspberry Pi. Unfortunately if you try pinging google.com for instance it won’t work and that’s because the Ethernet interface on which you find yourself is blocking that - if you disable it, it will work, but then you can’t work on the Pi. You can run the following command to set a default gateway to this new ppp0 interface with a 0 metric which will still let you SSH into your Pi and at the same time access the internet through the 4G module. Now, if you run ping google.com -I ppp0 -c 4 you should be getting successfull pings. 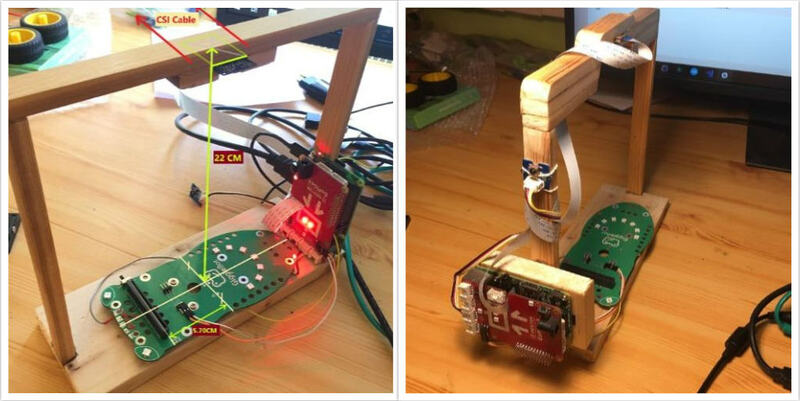 This is really great and fantastic, but we can’t achieve anything if we can’t connect to our Raspberry Pi without physical access. Here comes Remot3 which is a web-based service/plaform that offers fleet-management tools to control connected devices (IoT devices). They also offer an API if you want to dive into their technology and get your hands dirty, but I haven’t tried that. I wouldn’t use this in production for sure, but in this case where experimenting is done, it serves its purpose just about well. Anyway, create an account on their platform and then run the following commands on your Raspberry Pi. Now, log-in into your account with this newly launched command sudo weavedinstaller, specify the desired name of your Raspberry Pi (I named mine 4G_Connected_RPI). 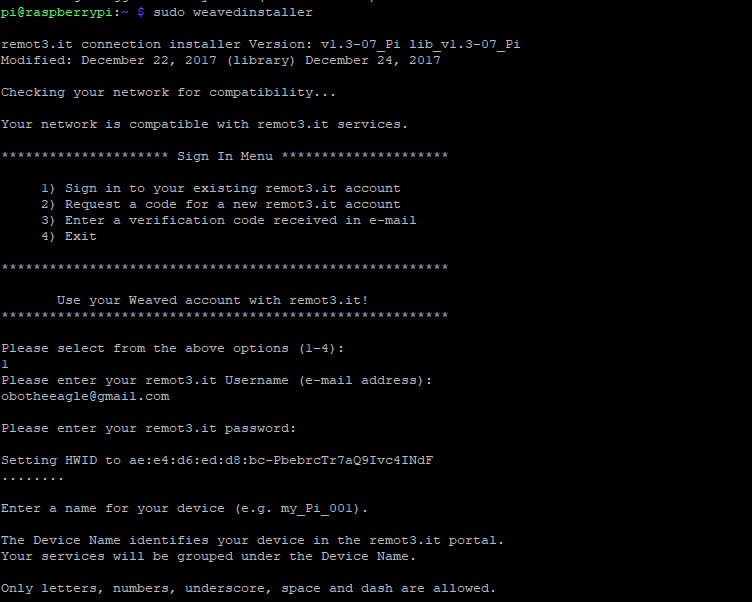 Also, further proceed with registering the SSH service on port 22. Back into Remot3 we get this dashboard with our newly registered device. Press on the SSH hyperlink in the pop-up of the previous screenshot and you’ll get the following pop-up. SSH using those values with Putty and then pull out the Ethernet cable out of the Raspberry Pi and the current session won’t end. That’s because the newly created SSH session that goes through Remot3.it is actually using the 4G module we’ve set. Victory! Now, there’s one more thing we need to do and that is making sure that on each subsequent boot-up of the Raspberry Pi, it connects to the internet so that we can SSH into it with Remot3. For this we need to create a service on the Pi. In the current SSH session, go and create a service in /etc/systemd/system and call it mobile.service. Copy paste the following code. Next, create a file /opt/mobile-starter.sh and add the following contents. Then run sudo systemctl enable mobile to enable the service to run on boot. You can now shutdown the Raspberry Pi and have the guarantee that the next time you boot it up, it will appear in Remot3’s dashboard. 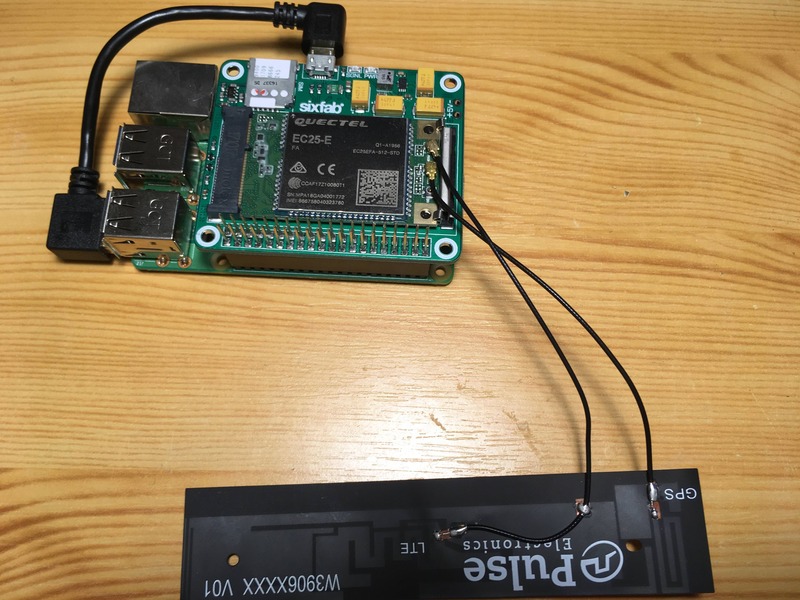 Basically, you can place the Raspberry Pi wherever you can think of where, provided there’s network access and be sure that when powering the Raspberry Pi up, you’ll have a way to connect to it. Power the Raspberry Pi up, wait for it to boot up, look on Remot3’s dashboard and connect using SSH when you see it online. I decided to use Apex TG.30 4G/3G/2G antenna, from Taoglas due to its characteristics. I got it for ~30 USD from Mouser. With an average signal quality I got the following speeds. The download speed isn’t exceptional, but that’s due to the missing secondary antenna. But the upload speed which isn’t dependent on this secondary antenna, can be at its highest. The upload speed is average and the download speeds are quite low. Still, I would attribute the low download speeds to the missing secondary antenna and the rather average upload speed to an average signal. On the whole, I’m happy with what I get in terms of speeds and latency. I also got an active GPS antenna, still from Taoglas, for around ~40 USD from Mouser and after doing some testing, it looks like the accuracy is high with an error under 2 meters. I got a fix even indoors with AGPS disabled. While doing tests, I noticed I needed a way to check the quality of the signal continuously. I wrote here a very short script that needs to run in the background. Name it mobile-status.sh. Then, when you want to see the output of it, type screen -r atcmd or when you want to exit the window type CTRL-A + Z.